There aren’t many countries which are entirely surrounded by a single other country, as Lesotho is entirely surrounded by the Republic of South Africa. There’s also San Marino within Italy, and then there’s Vatican City within Italy too. That’s it. Three in the whole world. Nancy Wright teaches political science at Long Island University in Brooklyn, New York, and she created a unique seminar titled, “Surrounded! 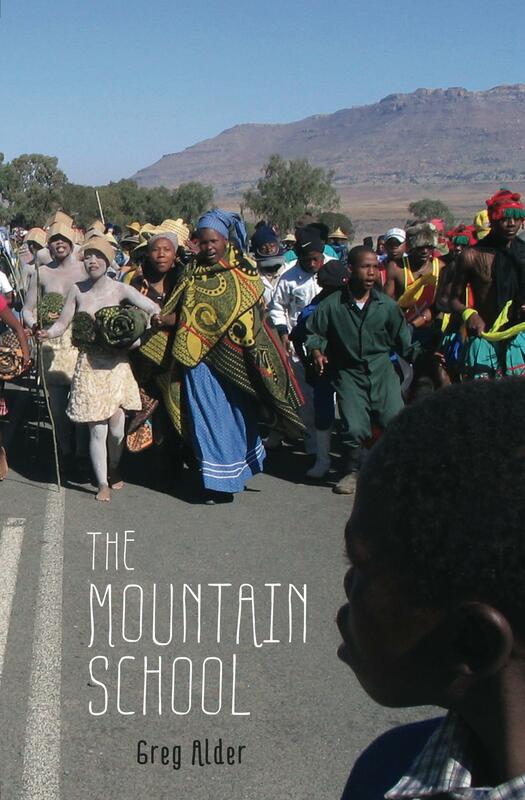 Sovereign Enclaves and Semi-Enclaves in International Relations.” So Lesotho is covered in her course, and one of the assigned readings related to The Mountain Kingdom is my book, The Mountain School. I was able to participate in the class’s discussion of Lesotho earlier this month in a conference call along with my Peace Corps mate Charles Fogelman, who is currently working on a PhD at the University of Illinois at Urbana-Champaign on land use law in Lesotho. We all talked about the effect of Lesotho’s situation as an enclave, how Lesotho might have developed if it weren’t, and why it is in the first place. Also, we discussed why South Africa doesn’t attempt to incorporate Lesotho today — a common debate topic during our Thursday afternoon sessions at Ngoana Jesu Secondary School while I taught there. But our discussion broadened, and Professor Wright’s students had perceptive comments and questions more specifically about issues and stories from The Mountain School. We talked about foreign aid, race, Chinese presence in Lesotho, textile factories, and even my fleeting obsession with listening to the rap music of 50 Cent. As a writer, I am most pleased not when a reader agrees with what I’ve written but when a reader’s comments show that what I meant to say with my words were precisely what the reader understood them to say. Clarity is paramount. To wit, one student noted that it seemed that my overarching goal while living in Lesotho was to understand the people by living like them, as far as possible. Bingo, I thought. Then a student asked what it has been like returning to live in the U.S. after years in Lesotho trying to be immersed in that small world. In some ways I’ve found adjusting to living in the U.S. even harder than it was adjusting to living in Lesotho, I said. How so? asked Professor Wright. I had trouble elaborating, except to say that my life in Lesotho was so focused — I woke up before the sun at 4:45 a.m. every morning to study Sesotho, and I did so with passion because it was supportive to my single goal of trying to get along and understand life in Lesotho. I no longer have a single goal. I feel like I have millions now, and I’m not always sure which to prioritize, and this is harder. But there’s got to be more to it, I thought. I need to consider the question more. Perhaps it deserves a separate post on this blog or as an epilogue to the book. No matter, life in Lesotho was an enclave. It was entirely surrounded. It was darkness but for the candle light on my table as I did Sesotho exercises from my little green grammar book. There is something to be said for the simplicity of having very few decisions to make. Too many options can be difficult. Perhaps not the same as having too few, but still tiring.